Father S. Servatius, National Chaplain, CCI India left for Europe on the 21st November 2013 on an important mission. Fr. Servatius is also the Convenor of the CCI Committee for Canonization of Cardijn launched in Manila in October 2012. He will meet Cardijn movement leaders and former YCWrs and Chaplains in Europe. A very important event in his itinerary will be his meeting with Fr. Felix Van Meerbergen who has initiated the Canonization Committee in Cardijn's home Diocese in Belgium and a meeting with the Archbishop of Mallines-Brussels, His Grace Leonard who is due to install the Ecclesiastical Court on 16th January 2014. Incidentally, Father Servatius has also been included as a member of the Canonization Committee in Belgium (along with Stefan Gigacz and M. J. Ruben). Fr. Servatius will be sharing with those he meet the initiatives of CCI and about the forthcoming mega event in India in 2015 - yes, about the 'Vatican 2+50: A Cardijn Perspective' International Conference in December 2015. We wish him all the very best in his mission. 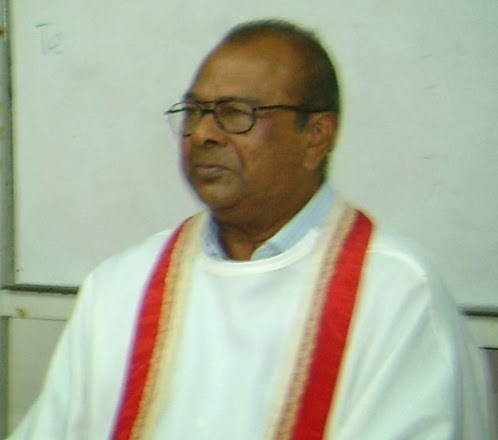 CCI-Chennai held a Consultation with Father Thomas Joseph at Sacred Heart Seminary, Poonamallee near Chennai on the 16th November 2013 to commemorate the 131st birth anniversary of Cardijn. The issues discussed in the consultation are: need to promote lay apostolate; review of life: need to insist on proper review in Cardijn movements and to initiate actions/activities based on the review of life; training for young people; Canonization of Cardijn: CCI campaign, initiatives of Father Felix Van Meerbergen in Cardijn's home diocese in Belgium and the need to support this effort. Father Thomas Joseph became the Chaplain of YCW in 1953. Cardijn himself took him to the then Archbishop of Madras-Mylapore Dr. Louis Mathias, SDB and got him appointed Chaplain of YCW. Ever since he is associated with YCW/CWM and the Labour Commission of CBCI. He is also the patron of CCI-Chennai and guides them in every program. Father Thomas Joseph will complete 95 years of age in January 2014. The mega event 'Vatican 2+50: A Cardijn Perspective' International Conference 2015 is being hosted by CCI-India. CCI-India has fixed Joe Beach Conference Center, Mamallapuram, Kancheepuram District near Chennai as the venue for this great event. 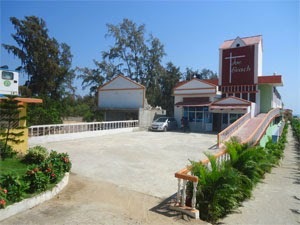 The venue is a sea side property (Bay of Bengal). Visit www.joebeach.in to have a view of the Conference Center. The Conference will be officially inaugurated on the evening of Thursday, 5th December 2015 and will conclude on Sunday, 8th December 2015 with a mass rally. 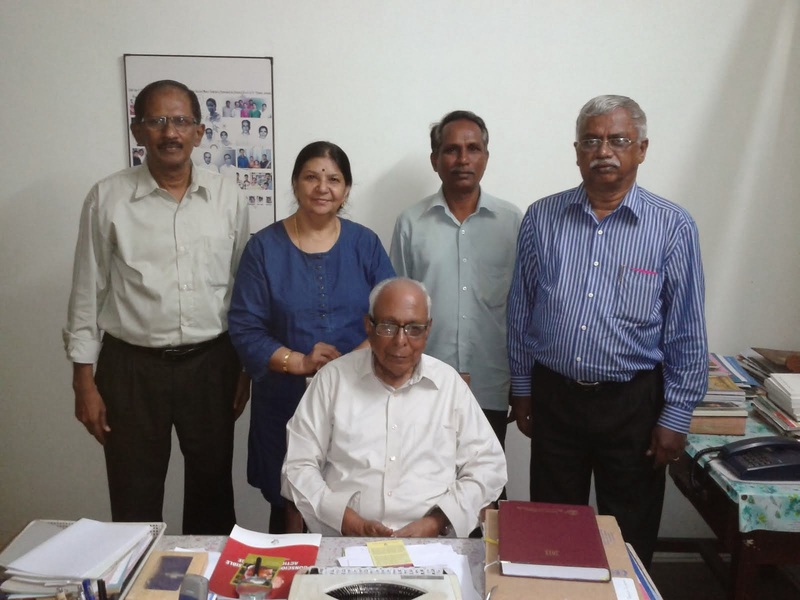 At the recently held CCI India National Council, a 2015 Conference Committee was formed. The members of the committee will meet soon to chalk out plans to organise a successful Conference. The International Team of CCI will soon unveil plans for the 2015 Conference.